Whether looking to sell or protect your new home, Home Security America (HSA) provides flexible and reliable protection for home systems and appliances. HSA offers a basic plan, upgraded coverage, and optional add-ons. While some customer complaints have surfaced, HSA has a huge customer base of over 85,000 people. The negative reviews call to attention some issues, but don’t necessarily represent customer satisfaction as a whole. With 30+ years in the business, HSA has managed to please its customers, providing reliable protection. Pricing and coverage varies by state. The Buyer Plan generally costs around $485 with a $75 trade call fee or $465 with a $100 trade call fee. 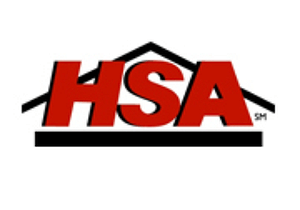 HSA Home Warranty lists all of their pricing by state on the website. Keep in mind that HSA does not provide coverage for all states. The Basic Plan for buyers and sellers covers systems and appliances like plumbing, toilet, water, gas, whirlpool bathtub, electrical system, oven, stove top/range, and built-in microwave over, to name a few. Buyers can also purchase the Buyer 7 Star Upgrade for additional coverage of smoke alarms, refrigerator, faucets, central heat, grills, and other household appliances. HSA also works with real estate agents and service providers to help provide protection to their clients. Sellers with a HSA Home Warranty Plan make their home more attractive to potential buyers. The Buyer Plans starts from the date of closing and lasts for 12 months thereafter. The Seller Plans start from the date of application and continues for 6 months after. HSA provides a sample contract on their website. You can get in touch with HSA by phone or fax as well as email to get in touch directly with certain staff. The website has an FAQ for buyers. Customers can also get information on home maintenance and repairs at the company’s resource center. HSA Home Warranty hosts active social media pages on Facebook, Twitter, Google+, and Pinterest. HSA also provides coaching, marketing materials, and an informative blog for real estate agents. HSA Home Warranty provides protection for home systems and appliances with flexible plans for both buyers and sellers.